Release your inner Chipmunk or Chipette with this new game! Your little ones aren't the only fans of Alvin and the Chipmunks, right? Personally, I'm a fan of Theodore!! So cute! Chipwrecked comes for multiple gaming systems, including the Wii, Xbox, DS and so on but I received a copy for the Wii to review. Be a rock star in this game based on the story you see on screen in Alvin and the Chipmunks: Chipwrecked! I haven't watched the movie yet since it doesn't come out until December 16th but you can play as all six superstars from the Chipmunks and The Chipettes: Alvin, Simon, Theodore, Brittany, Jeanette, or Eleanor...and get sneak peek of the movie by playing the game. Sing and dance along to 30 of their greatest hits including All Star, You Spin Me Round and more. Learn from 50 dance moves and the better you do, the more points you earn. Play by yourself in a single-player storyline mode or battle it out with your sibling, friends, or family in a two-player dance party in Co-op Mode. Freestyle lets you pick your favorite songs to dance with. This is a full-body motion-based dance experience that can be incredibly fun for all ages. Follow the images on the screen to dance along. Dance good enough, fill your “Munk Power” meter and then amaze the rest of the room with ultra-cool dance moves. Did I mention you can dress your player and fashion them to your liking too? Alvin and the Chipmunks: Chipwrecked movie finds the trio vacationing aboard a luxury cruise liner until they become ‘chipwrecked’ on a remote island. So this game features six tropical locations inspired by the movie. Its a whole lot of fun for the whole family and some much needed exercise after that holiday feast. A great addition to your holiday lists this year, rated E10+ and now available in stores. 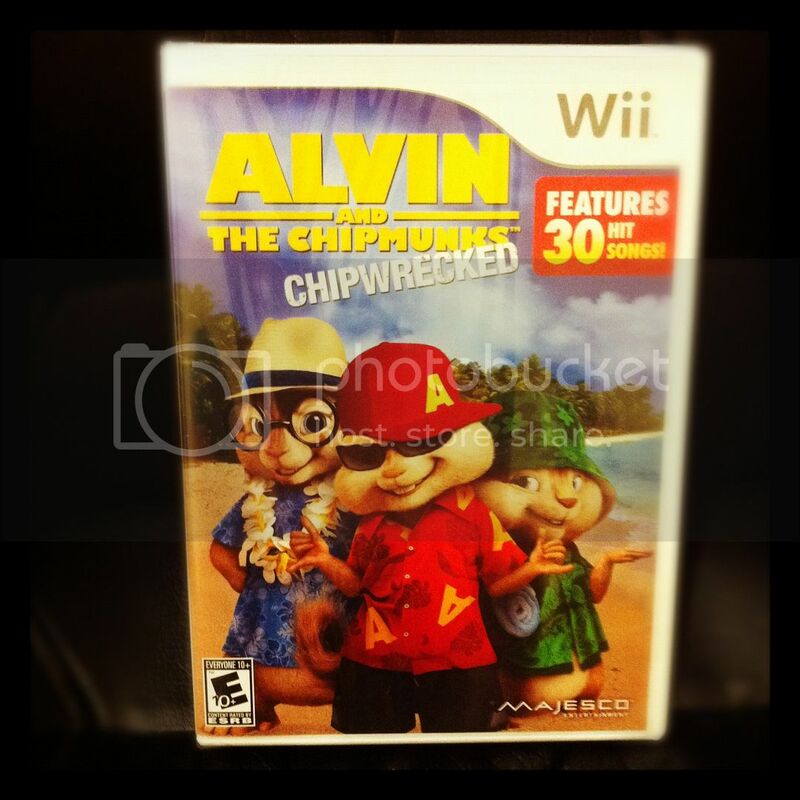 Buy It: Shop online or in stores for Alvin and the Chipmunks: Chipwrecked Game on Kinect for Xbox 360 for a suggested retail price of $39.99, and on Wii™ and Nintendo DS™ for a suggested retail price of $29.99. Like Majesco Entertainment on facebook. That looks really cute. I think my kids would go nuts.